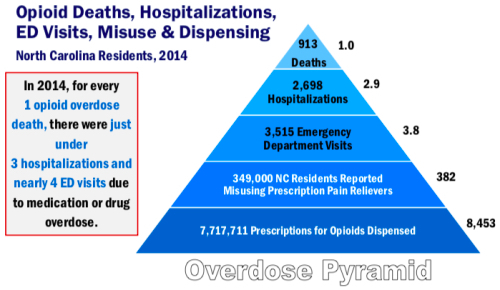 North Carolina has become Ground Zero when it comes to the opioid crisis gripping the nation. 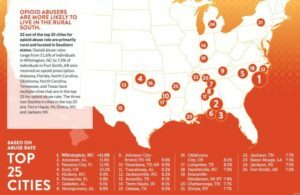 A new report from Castlight shows that North Carolina has four cities in the Top 20 -including the number one spot, Wilmington. 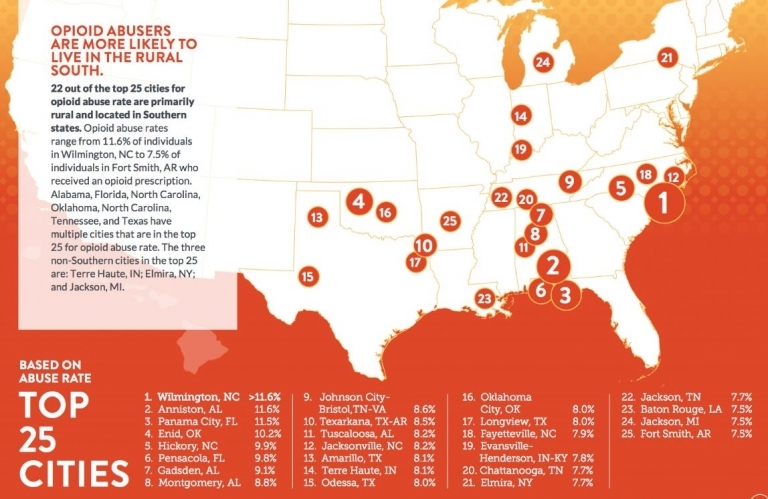 Other North Carolina cities on the list include Hickory at 5th, Jacksonville at 12th, and Fayetteville at 18th. 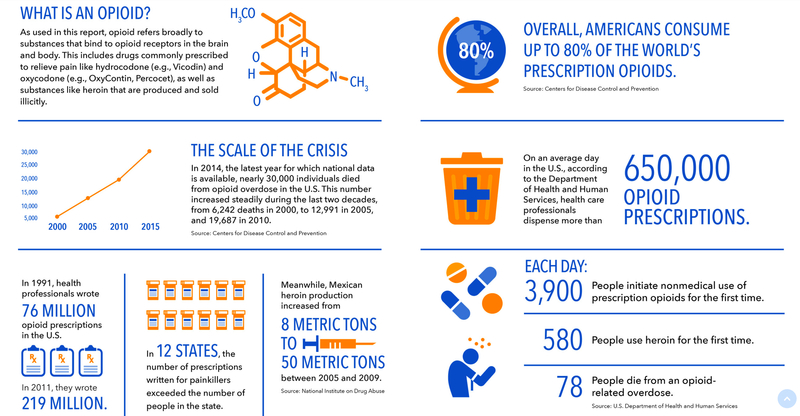 Overall, it’s estimated that more than 12,000 people have died from opioid-related overdoses from 1999 to 2016. Medical providers are overwhelmed with treatment efforts and prevention is stretched thin. According to a presentation from the State’s Department of Health and Human Services, there are three hospitalizations and four emergency room visits daily. What is North Carolina doing about the crisis? Local and statewide organizations are working to reverse and control the epidemic. Although four cities show up in the Top 20, the worst problems are often clustered in rural areas that do not offer long-term treatment. In 2017 the state improved funding for the State’s Controlled Substance Reporting System to $10 million in federal grants to treatment services. This is under half of what was called for in the bi-partisan Strengthen Opioid Misuse Prevention Act. Foundations such as Tealdrops and the Addiction Professionals of North Carolina (APNC) are leading the way in helping create awareness, prevention, and treatment. No one ever wants to become an addict. 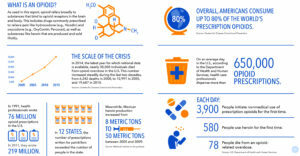 Reducing the stigma of addiction and creating an open dialogue will help all of us alleviate the opioid epidemic. Lifeline Treatment Center in Wilmington, NC is proud to partner with Tealdrops and Alcohol/Drug Council of North Carolina (ADCNC) to help those going through addiction. In-patient and out-patient programs are available. Contact Lifeline Treatment Center today at info@lifelinetreatmentcenter.com or call 888.600.5147 to find out more about the support services provided to help those who are suffering from the chains of addiction. In-patient programs offer thirty, sixty, and ninety-day programs that are available in a secluded facility located on 8 acres of land with two fishing ponds on the property. Ask about the scholarship program.